For those of us who are addicted to all things Disney, we know one thing to be true. Disney is in the DETAILS. When walking through one of the parks, I recommend taking a little time to look at the details around you. 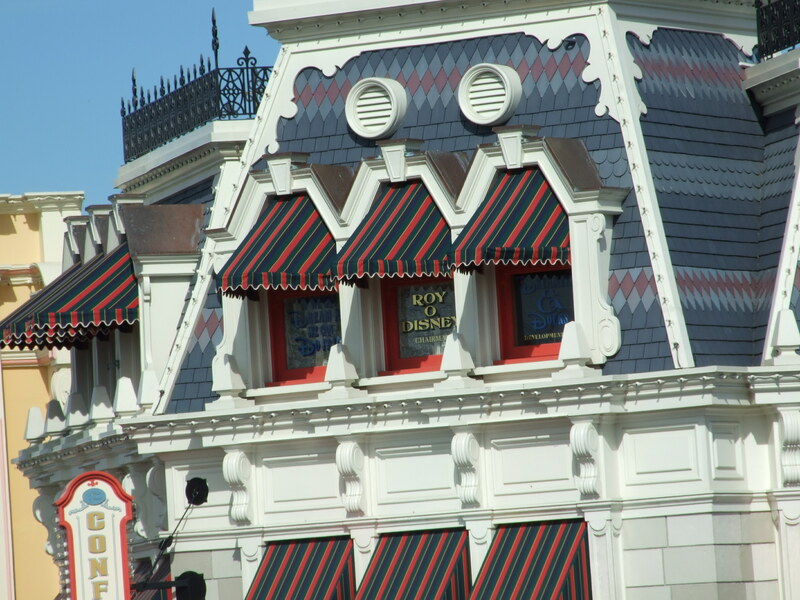 On Main Street USA, for instance, look up at the windows. There are names of people who have had a significant impact on the development of Walt Disney World or Disneyland. Some are imagineers, such as Tony Baxter. Some are family, such as Roy O. Disney. And some are people who have been there for years in the background. It’s worth looking around! Another thing to keep an eye out for is Hidden Mickeys that can be found in all of the theme parks, resorts, restaurants, and on the grounds. There are even some in the movies! For an idea of where to find some of these Hidden Mickeys, pick up a copy of Steven M. Barrett’s book Hidden Mickeys a Field Guide to Walt Disney World. You have all heard the phrase, ‘stop and smell the roses’, well in this case I urge you to stop and smell the roses, popcorn odors, ah heck anything that crosses your nose or eyes! Disney is most Definitely in the Details!